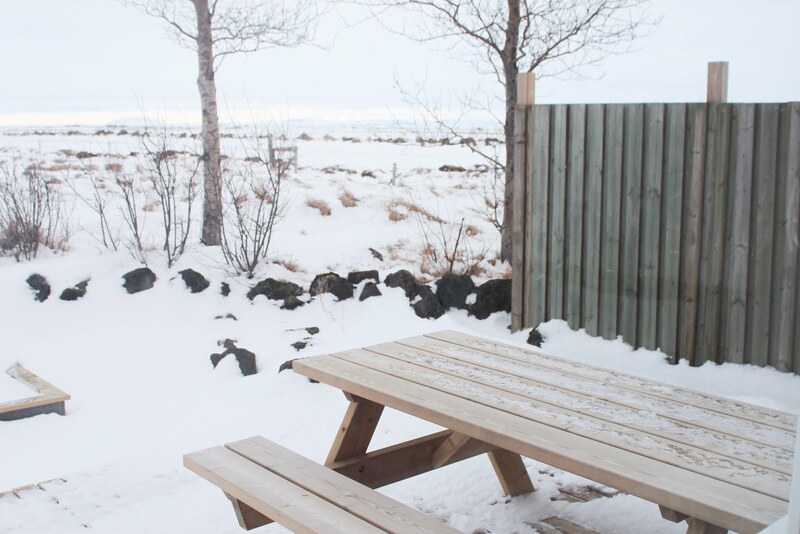 During our week touring Iceland we stayed in different types of acommodation: a luxury hotel, a cottage on an organic farm, a hostel, a little Airbnb house and a colorful guesthouse. Keep reading to know what to expect and decide later! 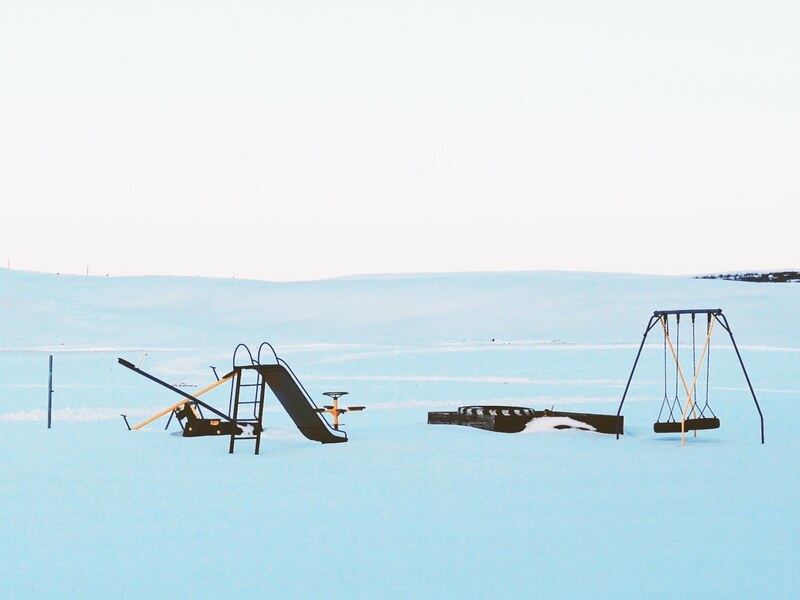 Disclaimer: our trip was in winter so we opt for staying indoors, but if you’re travelling in summer you could always rent a van or go camping. 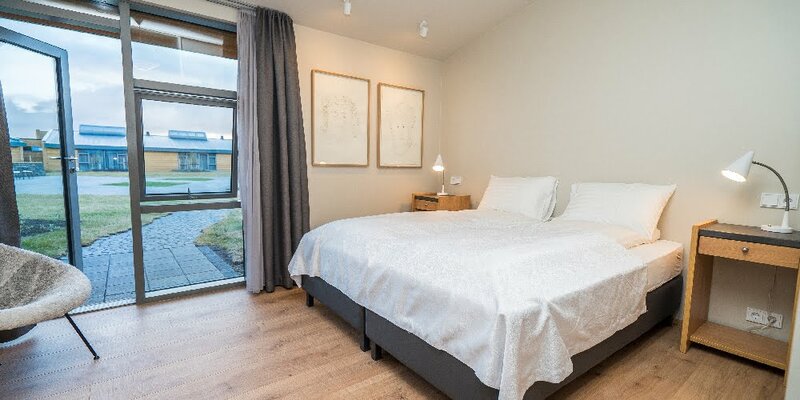 Find out what to expect from every type of accommodation when in Iceland! 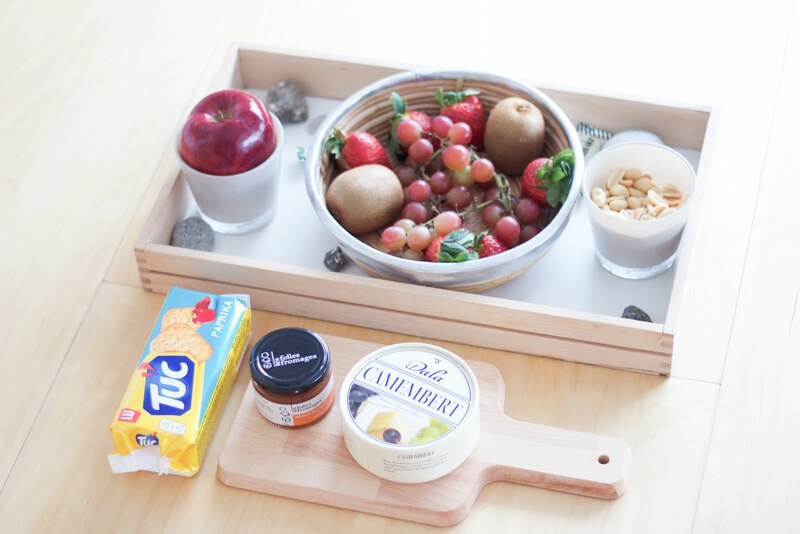 If you’re looking to stay in a design hotel with all the amenities, you’ll love hotel Húsafell. 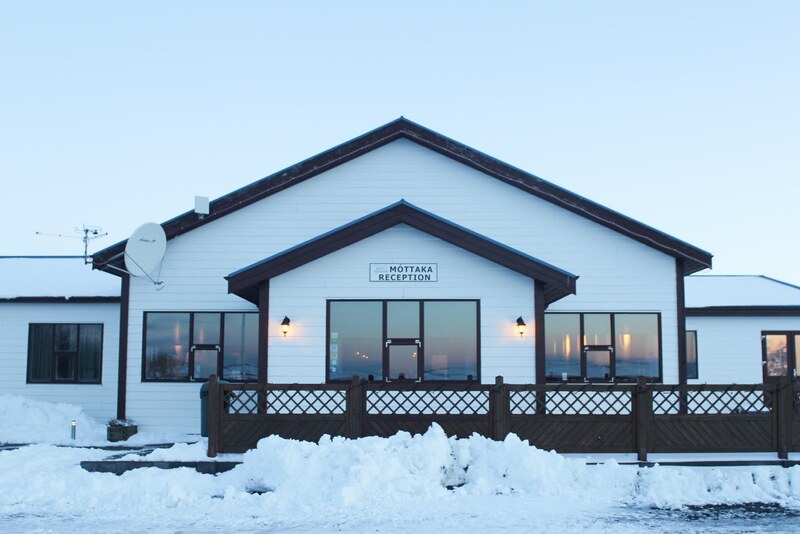 The best asset about this hotel – apartt from the design – is its location, surrounded by waterfalls, geothermal activity and blessed by northern lights and thermal pools. I wish I stayed longer! Hotel Husafell was our home for our first night in Iceland and it was the nicest welcome of the trip. Its design and location are outstanding. It’s really close to Hraunfossar and Barnafoss waterfall and Deildartunguhver spring. It’s also close to Into the Glacier, an experience where you can get inside Langjökull, the second largest glacier in Iceland. 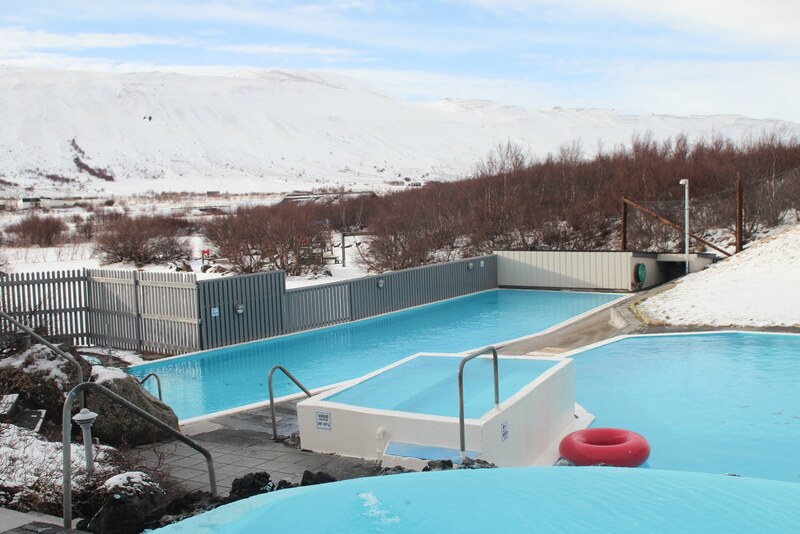 It has thermal pools that are perfect to end the day, enjoying Icelandic nature. 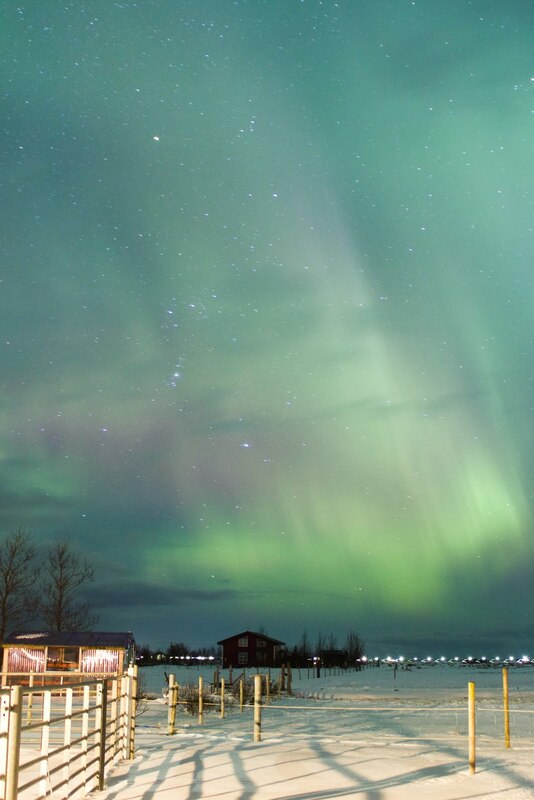 During winter, you can spot northern lights an average of 3 times per week which is a lot! 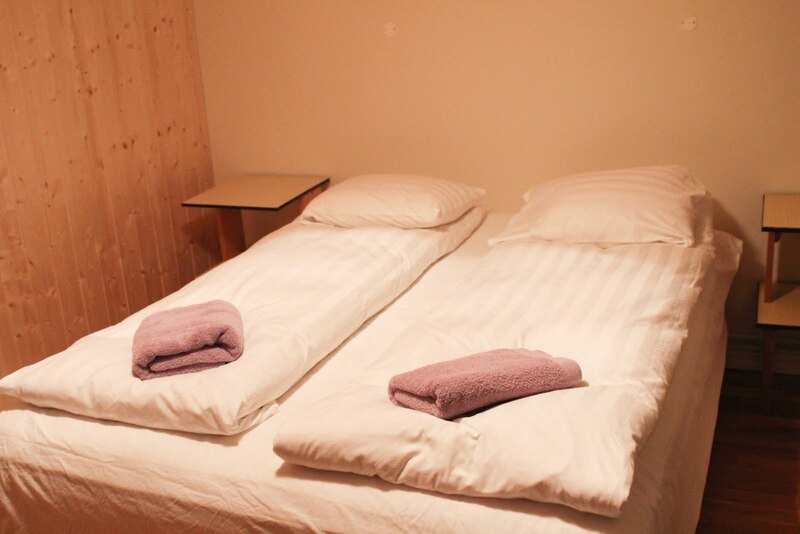 Check here availability and rates. For those looking to feel truly connected to nature, this is the place. 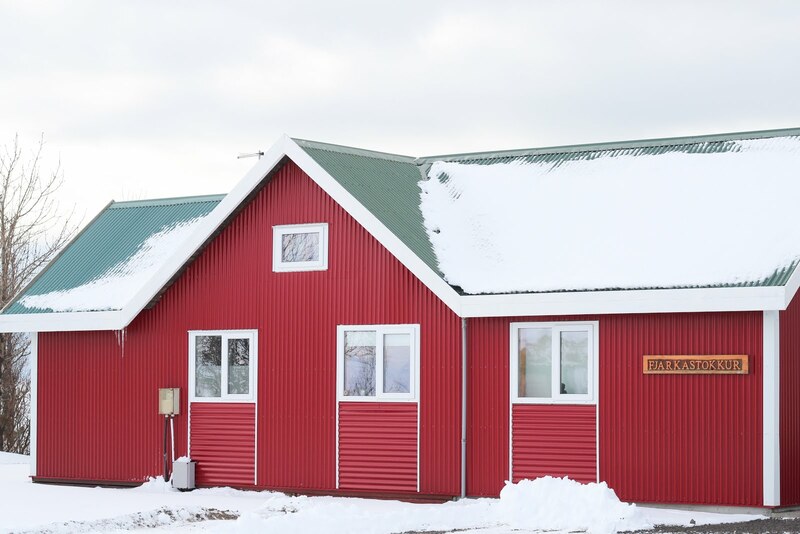 Although it was still pretty to stay there while it was covered by snow, I’m sure it gets even better in summer, with horses outdoors and a gorgeous view. 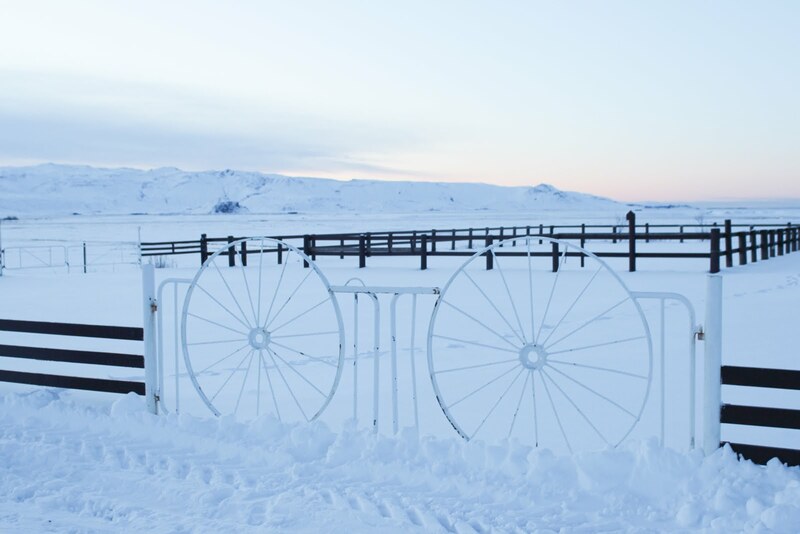 Smáratún is a family farm of 300 hectares just a few minutes drive from Hvolsvollur. The main attraction are their beautiful horses. 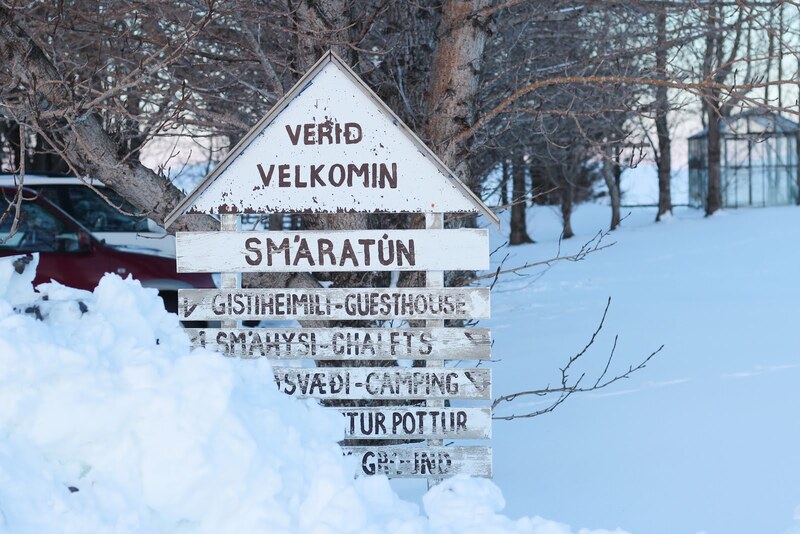 Smáratún also has an ecological crop and all its products are ecologically sustainable: here it’s where I had the best skyr of the whole trip! In the same location there is a hotel and a guesthouse, but we stayed in the cabin that you see in the picture and made our dinner in the shared kitchen of the guesthouse. Vík í Myrdal is one of the most beautiful villages in the world, and I am not exaggerating. It’s so photogenic it looks unreal. 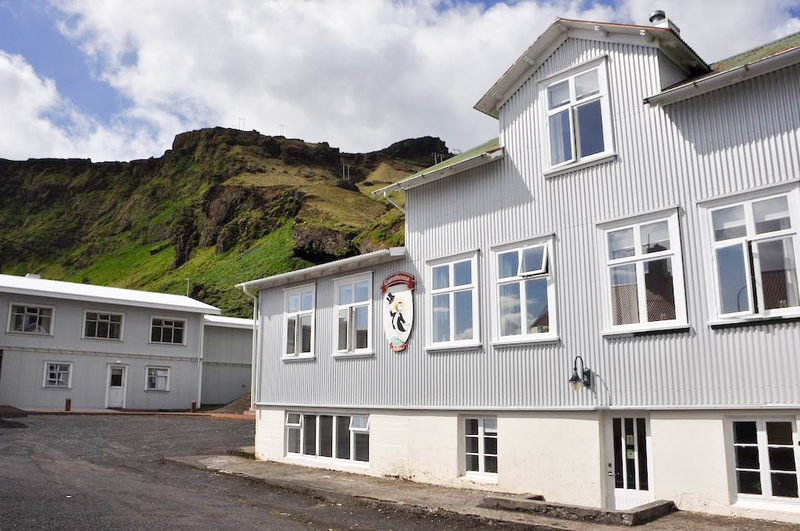 Puffin Vík Hostel is a very good choice if you are looking for a budget place where to stay but don’t expect too much from it. 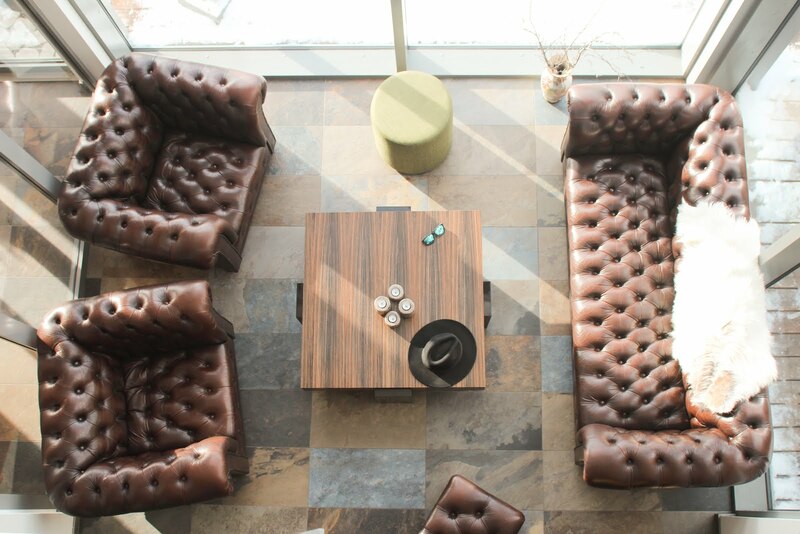 The rooms are basic and the bathrooms and the kitchen are shared, but after all, this is the best way to meet new people while we travel. 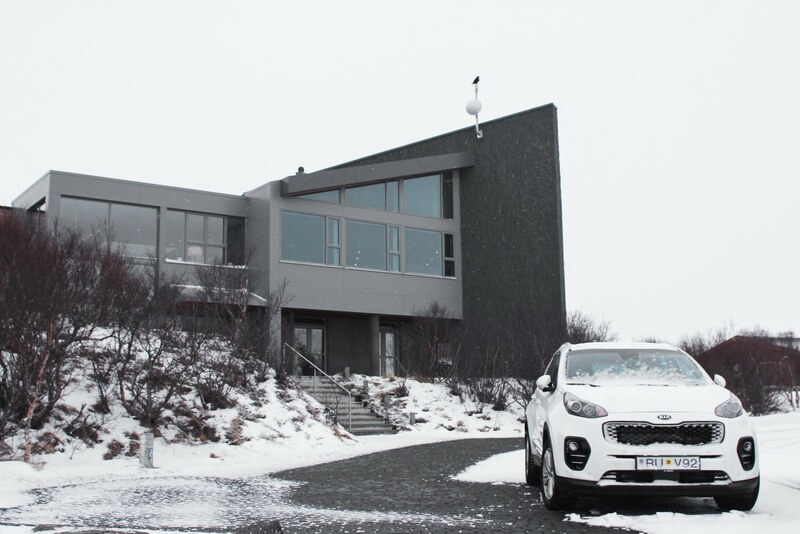 If you’d rather stay in a typical Icelandic house or apartment, you’ll find very authentic places on Airbnb. 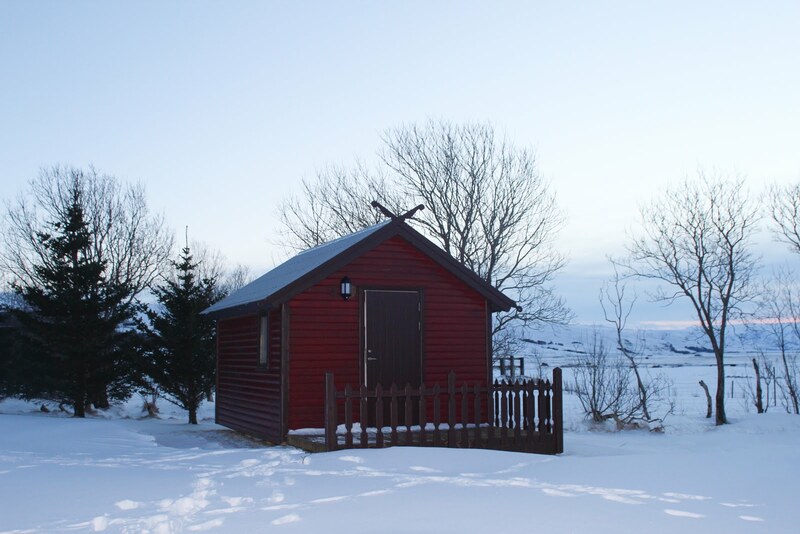 That was our case in Fjarkastokkur, a beautiful little house in Thykkvibaer, close to Hella. 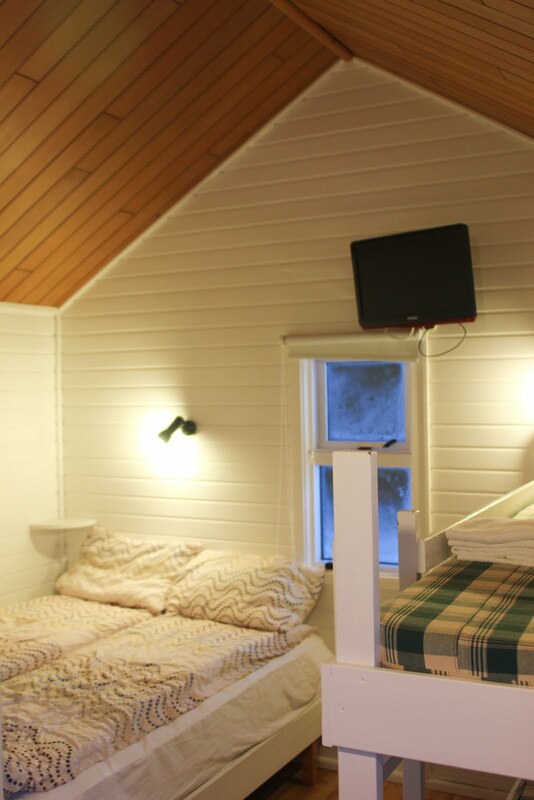 The biggest advantage of staying here was that we could enjoy the most amazing northern lights of the entire trip just staring from the window, from the coziness and warmth of our home for the night. In summer you can enjoy the hot water pool on the terrace. 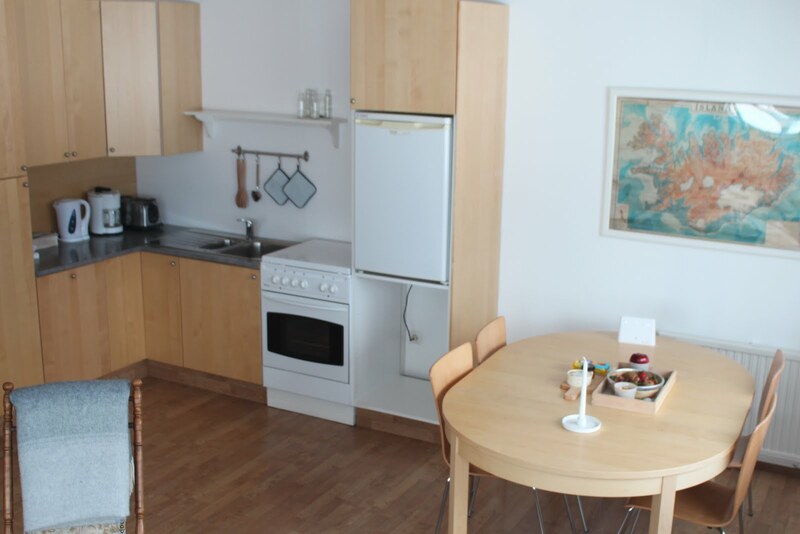 If it’s your first time using Airbnb, here’s €35 discount. 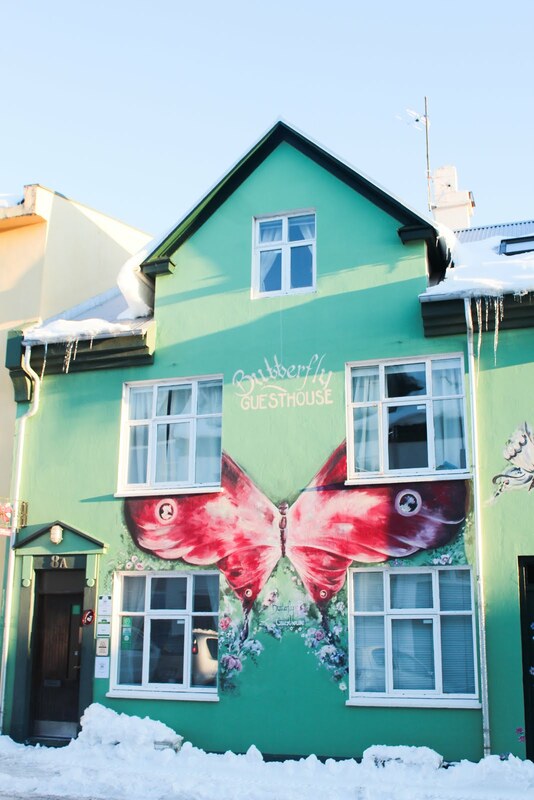 Our last night in Iceland was spent in Reykjavik, in my favorite guesthouse ever: Butterfly guesthouse. 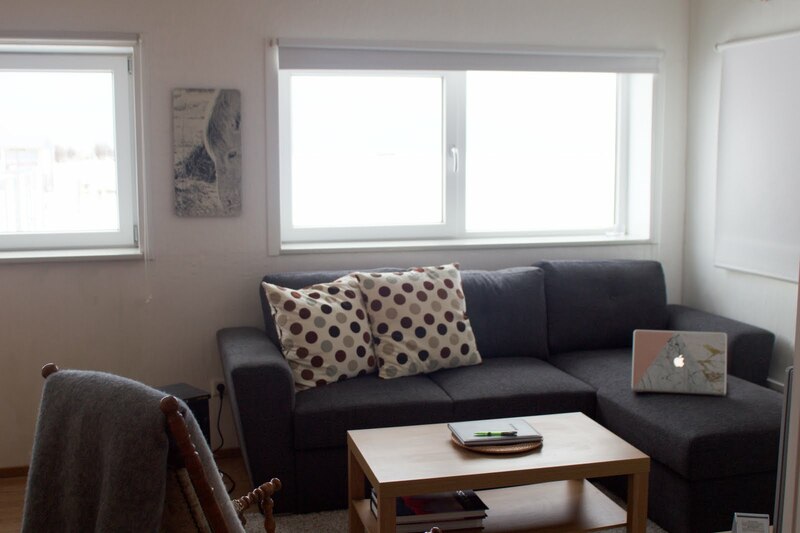 It’s located in the city center, just 2-3 minutes from the port and the Harpa building.. Although is centrally located, it’s in a quiet street which is also really colourful. It will take you 2 minutes to get to the most famous hot dogs in Reykjavik: Baejarins Beztu Pylsur. Decor is amazing! You could spend hours looking at every detail. 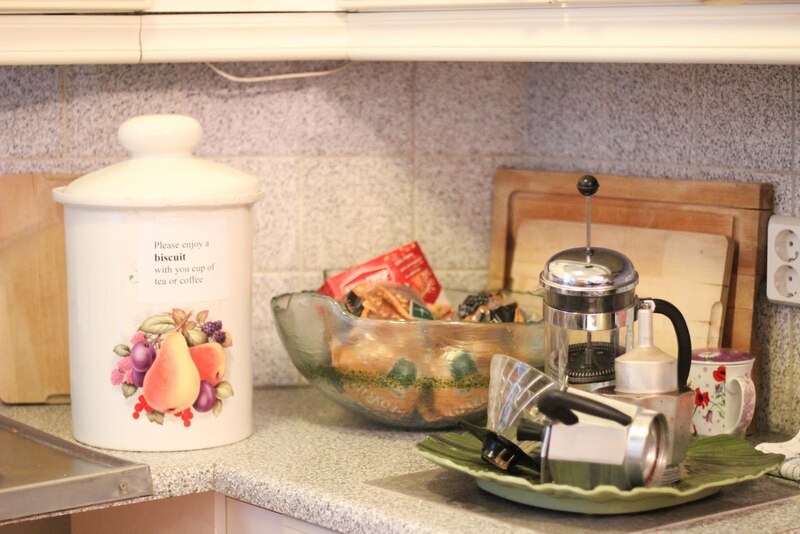 There’s a fully equipped shared kitchen and absolutely everything is at your disposal: pasta, rice, biscuits, cofee and much more – it will save you money! There is a lovely butterfly on the facade. 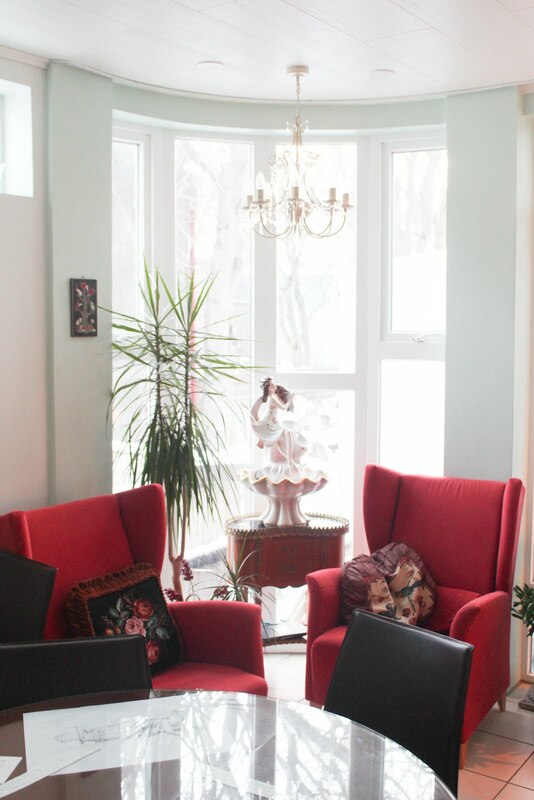 The family running this guesthouse is adorable. Click here to book your room. This post contains affiliate links, meaning that if you book anything through them, at no extra cost for you, I will earn a commission. Thank you!